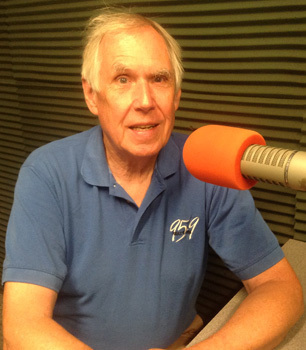 Ed Perry, who owns 95.9FM WATD in Marshfield is a guest on this segment of Monday Night Talk! 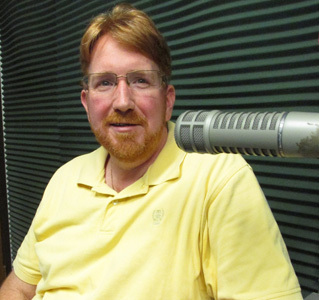 Ed, who was recently inducted into the Mass Broadcasters Hall of Fame, talks about his love of radio from an early age and what it's like to be the owner of a radio station. Do you have an topic for a future show or info on an upcoming community event? Email us at mondaynighttalk@gmail.com or "like" and post a comment on our Facebook page: www.facebook.com/mondaynighttalkon959fmwatd. If you're a fan of the show and enjoy our segments, you can either download your favorite segment from this site or subscribe to our podcasts through iTunes today! © Monday Night Talk with Kevin Tocci - 2015. Unauthorized use and/or duplication of this material without express and written permission from the show host and/or owner is strictly prohibited. Alex Bloom, who works with the public relations firm O'Neill and Associates, Mark Linde, General Manager of Brockton Community Access TV and Patriot Ledger reporter Patrick Ronan, along with current State Senator & Weymouth mayoral candidate Bob Hedlund and WATD Political Analyst are guests for this special political conversation on Monday Night Talk! Alex, Mark and Patrick look at the results from Weymouth mayoral preliminaries and look at the upcoming elections in Brockton and Quincy. Do you have an topic for a future show or info on an upcoming community event? Email us at mondaynighttalk@gmail.com or "like" and post a comment on our Facebook page: www.facebook.com/mondaynighttalkon959fmwatd. If you're a fan of the show and enjoy our segments, you can either download your favorite segment from this site or subscribe to our podcasts through iTunes today! © Monday Night Talk with Kevin Tocci - 2015. Unauthorized use and/or duplication of this material without express and written permission from the show host and/or owner is strictly prohibited. 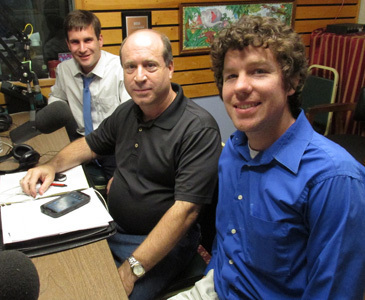 Pictured from the left: Alex Bloom, Mark Linde and Patrick Ronan. Joseph Lynch, a State Senate candidate is a guest on Monday Night Talk! Joe discusses his decision to run for the open State Senate 2nd Plymouth Bristol seat, what the challenges will be in the race and what the issues will be. If you want to learn more about Joe's campaign for State Senate, then visit his website; http://www.joelynchstatesenator.org/ Do you have an topic for a future show or info on an upcoming community event? Email us at mondaynighttalk@gmail.com or "like" and post a comment on our Facebook page: www.facebook.com/mondaynighttalkon959fmwatd. If you're a fan of the show and enjoy our segments, you can either download your favorite segment from this site or subscribe to our podcasts through iTunes today! © Monday Night Talk with Kevin Tocci - 2015. Unauthorized use and/or duplication of this material without express and written permission from the show host and/or owner is strictly prohibited. Nancy Leedberg is a guest on this episode of Monday Night Talk! 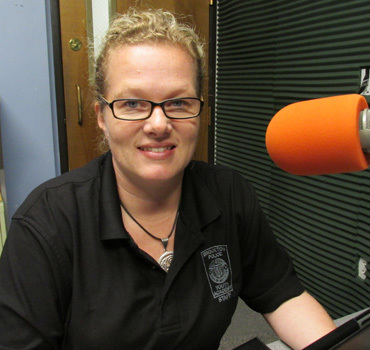 Nancy, who is a a Brockton Police officer, stops by to discuss her department's outreach program called "Sportsmart," which deals with sports concussions and drug epidemic. The event, which features keynote speaker Dr Dan Muse and special guest Cory Palazzi, is being held Thursday, September 17 from 7-9pm at the Arnone Cafe & Theater. To register please go to: www.brocktonpolice.eventbrite.com/. Do you have an topic for a future show or info on an upcoming community event? Email us at mondaynighttalk@gmail.com or "like" and post a comment on our Facebook page: www.facebook.com/mondaynighttalkon959fmwatd. If you're a fan of the show and enjoy our segments, you can either download your favorite segment from this site or subscribe to our podcasts through iTunes today! © Monday Night Talk with Kevin Tocci - 2015. Unauthorized use and/or duplication of this material without express and written permission from the show host and/or owner is strictly prohibited. 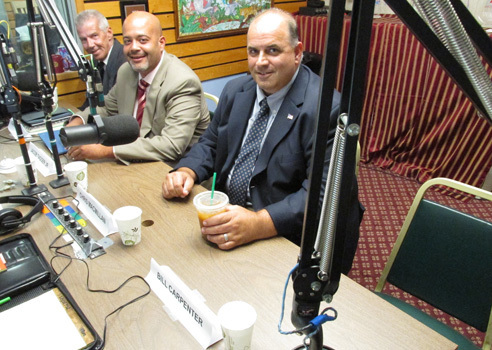 A political forum featuring Brockton mayoral candidates Chris Hopgood, Chris MacMillan and Jacob Tagger was held on Monday Night Talk! WATD Managing Editor Christine James serves as moderator, as Kevin Tocci, Brockton Community Access General Manager Mark Linde and Charles Matthewson pose questions to the candidates. Mayor Bill Carpenter was invited but decided not attend the forum. Do you have an topic for a future show or info on an upcoming community event? Email us at mondaynighttalk@gmail.com or "like" and post a comment on our Facebook page: www.facebook.com/mondaynighttalkon959fmwatd. If you're a fan of the show and enjoy our segments, you can either download your favorite segment from this site or subscribe to our podcasts through iTunes today! © Monday Night Talk with Kevin Tocci - 2015. Unauthorized use and/or duplication of this material without express and written permission from the show host and/or owner is strictly prohibited. 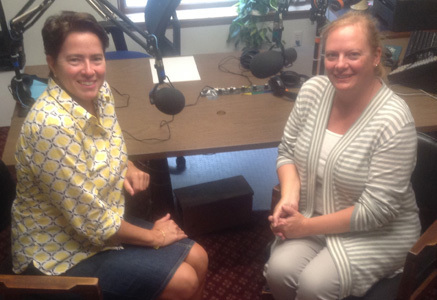 Christine Buckley, the Executive Director of the Brain Aneurysm Foundation and Director of Marketing and Communications Elizabeth Dow are guests during this episode of Monday Night Talk! 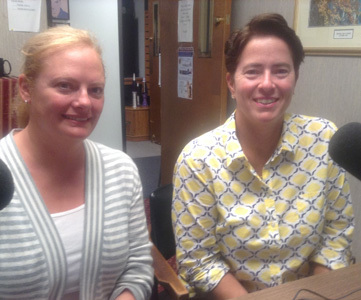 Christine and Liz return to talk about September being brain aneurysm awareness month and discuss the new marketing campaign. To learn more about the foundation and brain aneurysms, visit their website; www.bafound.org. Do you have an topic for a future show or info on an upcoming community event? Email us at mondaynighttalk@gmail.com or "like" and post a comment on our Facebook page: www.facebook.com/mondaynighttalkon959fmwatd. If you're a fan of the show and enjoy our segments, you can either download your favorite segment from this site or subscribe to our podcasts through iTunes today! © Monday Night Talk with Kevin Tocci - 2015. Unauthorized use and/or duplication of this material without express and written permission from the show host and/or owner is strictly prohibited. Christie Coombs is a guest on this episode of Monday Night Talk! Christie calls in to share details on the 14th Annual Jeff Coombs Memorial Road Race, Walk and Family Day, which helps raise money for The Jeff Coombs Memorial Foundation. 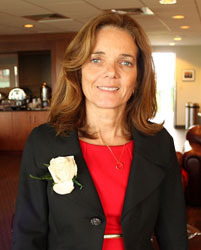 The foundation has funded and distributed more than $450,000 in grants, scholarships and special programs since 2002. To find out more about the foundation or contribute visit their website; www.jeffcoombsfund.org/. Do you have an topic for a future show or info on an upcoming community event? Email us at mondaynighttalk@gmail.com or "like" and post a comment on our Facebook page: www.facebook.com/mondaynighttalkon959fmwatd. If you're a fan of the show and enjoy our segments, you can either download your favorite segment from this site or subscribe to our podcasts through iTunes today! © Monday Night Talk with Kevin Tocci - 2015. Unauthorized use and/or duplication of this material without express and written permission from the show host and/or owner is strictly prohibited. 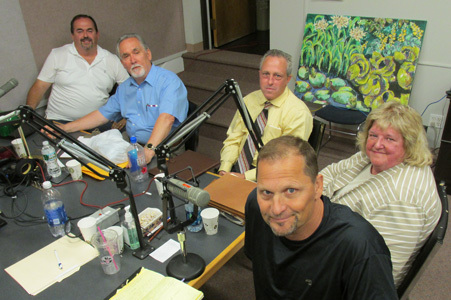 A Weymouth Mayoral Debate with Mayor Sue Kay and challengers Joe Cellini, School Committee Chairman Sean Guilfoyle, State Senator Bob Hedlund and Robert Montgomery Thomas is featured on Monday Night Talk! WATD Managing Editor Christine James serves as moderator, as Kevin Tocci and Charles Matthewson pose questions to the candidates. Do you have an topic for a future show or info on an upcoming community event? Email us at mondaynighttalk@gmail.com or "like" and post a comment on our Facebook page: www.facebook.com/mondaynighttalkon959fmwatd. If you're a fan of the show and enjoy our segments, you can either download your favorite segment from this site or subscribe to our podcasts through iTunes today! © Monday Night Talk with Kevin Tocci - 2015. Unauthorized use and/or duplication of this material without express and written permission from the show host and/or owner is strictly prohibited. Pictured left to right: School Committee Chairman Sean Guilfoyle, Robert Montgomery Thomas, Joe Cellini, Mayor Sue Kay and State Senator Bob Hedlund. Superstar drummer, motivational speaker and author Rick Redmond along with drummer and businessman Jimmy Pemberton are guests on this special segment of Monday Night Talk! Rich, who happened to be in town performing with Jason Aldean stops by the WATD studios to discuss his career as a drummer, being an author, motivational speaker and his work to become an actor. He also discusses his work with Jimmy to help aspiring musicians who are entering the music business. Mr Redmond is an influential touring/recording drummer/percussionist based in Nashville, Tennessee and Los Angeles, California. His versatile, dynamic, and rock-solid drumming is the sound behind many of today’s top talents. When he’s not in the studio or on tour Rich is motivating others with his “CRASH Course for Success” a meticulously crafted program that anyone can follow to achieve success and the author of "FUNdamentals of Drumming for Kids." A musical showman in the spirit of Gene Krupa, Rich has toured/recorded/performed with Jason Aldean, Ludacris, Kelly Clarkson, Bryan Adams, Joe Perry, Jewel, Miranda Lambert, Luke Bryan, Eric Church, Brantley Gilbert, John Eddie, Pam Tillis, Susan Ashton, Deana Carter, Kid Rock, Lauren Alaina, Trace Adkins, Randy Owens, Marty Stuart, Mindy McReady, Rushlow, Gene Watson, John Anderson and many others. As the drumming powerhouse behind Grammy nominated mega star JASON ALDEAN, Rich has recorded 20 #1 singles with over 7 million albums sold and well over 13 million single downloads. As a high-energy live showman, Rich plays sold out shows of 20-60,000 fans nightly in amphitheaters, arenas and stadiums across North America. To learn more about Rich and the different projects he's working on, check out his website; richredmond.com. Do you have an topic for a future show or info on an upcoming community event? Email us at mondaynighttalk@gmail.com or "like" and post a comment on our Facebook page: www.facebook.com/mondaynighttalkon959fmwatd. If you're a fan of the show and enjoy our segments, you can either download your favorite segment from this site or subscribe to our podcasts through iTunes today! © Monday Night Talk with Kevin Tocci - 2015. Unauthorized use and/or duplication of this material without express and written permission from the show host and/or owner is strictly prohibited. 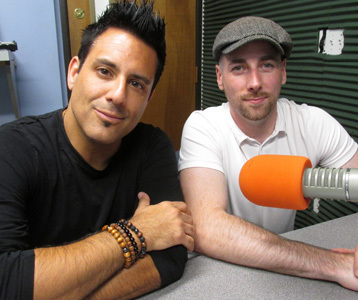 Rich Redmond (left) at the WATD studios with Jimmy Pemberton (right).